I love this trending hashtag and I tweeted mine out, but I felt like they needed more explanation. Albums that change your life are not necessarily your favourite albums of all time. They might be, they might rank among them, but in this case, while I love all three albums and have worn them out over the years, they’re not my top three, period. I took the hashtag seriously. These are albums that in one way or another changed the course of my life or listening habits. And they represent very different eras of my life, so I’ll reveal them in order. Rock stars who looked like cartoon horror/sci-fi characters were exactly the kind of gateway drug to rock and roll an eight-year-old boy needed to embark on a life filled with loud, crunchy guitars pumped into his ears. It signaled to me that I didn’t need no stinking Raffi or Sharon, Lois & Bram (all the respect in the world to them, but I didn’t need them anymore). I needed rock. I would go to my friend Nick’s house and he’d put on the album, the actual vinyl. We’d set up a chair in front of an imaginary drum kit, so one of us would be the Cat man. The other would be either the Demon or the Star Child. It didn’t matter who was actually singing and we didn’t know the difference between bass, rhythm and lead guitar at the time, but when it was my turn off the drums, I would always be the Demon and I’d always rip out those air guitar solos on a hockey stick, even though he was the bass player. Six or seven years later, I’d pick up a real guitar for the first time and (in theory, anyway; I need to make more time to play) I still can’t put it down. 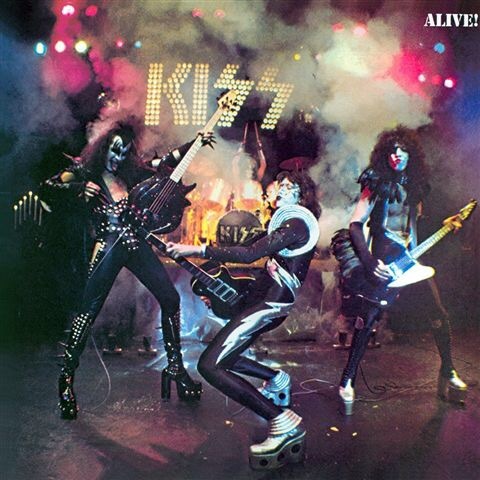 I believe that I owe all of my favourite music to my early exposure to KISS, from Stevie Ray Vaughan to Extreme and all the grungy stuff. 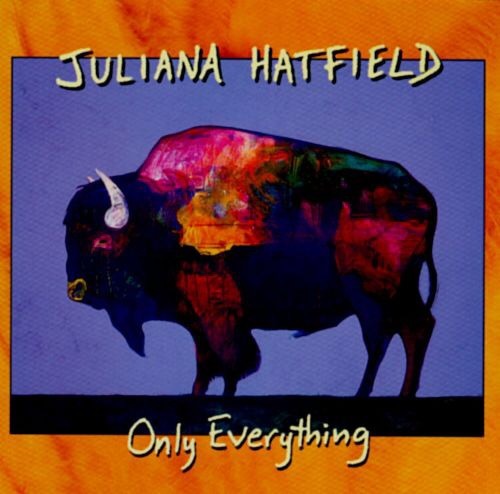 It was her previous album, The Juliana Hatfield Three’s “Become What You Are,” that first introduced me to her music, and I loved it and related to it at the time. But a few months later, when I bought “Only Everything,” I felt like I’d found a true kindred spirit in music form. To know that I wasn’t alone in the world as a socially-awkward 20-something who felt like he had so much to offer people, just kind of bubbling up inside, but struggled to release it in any concrete way, that was life-changing. Then I started to read interviews with her in my earliest forays into the World Wide Web, around 1995, and I couldn’t help but think, “She is me in she form.” It was a beautiful realization. Musically, she also exposed me to some amazing music, with more of an indie bent, that I might not have otherwise heard much of: Dinosaur Jr., The Lemonheads, Luna/Galaxie 500, and, most notably for me, Verbena. This is obviously the most recent album on the list, released in 2015. 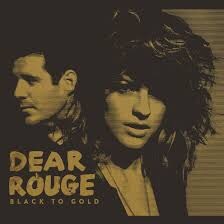 And I know I’ve already written a ton about Dear Rouge’s husband-and-wife team of Drew and Danielle McTaggart on this blog, but it’s well deserved. This album is not only phenomenal, musically, from top to bottom, loaded with brilliantly-crafted songs with ear-wormy hooks, pristine vocals, sneaky-good guitar lines, booty-shakin’ beats and sing-along refrains and choruses. But it’s also life-changing for me in that it’s the first album that thrust me into some semblance of a real-life relationship with artists I admire. I quickly learned that they value their fans as much as we value them. After buying the album on something of a whim, I was inspired to write a list about why it was so great, and they responded kindly on Twitter. Since then, Drew has done an interview for the blog, they continue to be super complimentary to me on Twitter, and I finally met them a couple of months ago. Shortly after that, I randomly bumped into them at a Blue Jays game while waiting in the security line outside the Rogers Centre. They recognized me and we chatted like friends for 10 minutes while waiting to get in, Danielle even trying to get my shy boys to open their mouths and talk to her. Perhaps most significantly for me, Danielle reiterated what she said on Twitter about my review of their acoustic show, that it made her tear up and that she thinks I’m a really talented writer. That floors me. It’s such a dynamics changer because here we have a band whose music, the thing they love to do and do best, has touched me so deeply, and now I learn my writing, the thing I love to do and do best, has touched them. How is that even possible? It just blows my brain. But I thank them for being so open and friendly with me and, I’m sure, with many of their other fans. 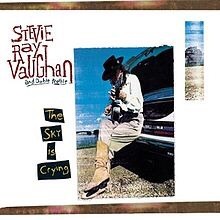 All this being said, I can’t not throw an honorable mention to Stevie Ray Vaughan & Double Trouble’s “The Sky is Crying,” because it solidified a lifetime love affair with SRV’s music. It forever changed my guitar-playing style for the better and opened my ears to the immortal blues musicians who came before him, from Buddy Guy on down through B.B. King, Albert King, Howlin’ Wolf, Muddy Waters, Willie Dixon and Robert Johnson.